Just the right size for riding, the frontier Pro Backpack is excellent for any over night ride and fits perfectly with any frontier fanny Pack system. Comfortable and easy to use thanks to an ergonomically formed back support that features spacer mesh padding for maximum breathability. 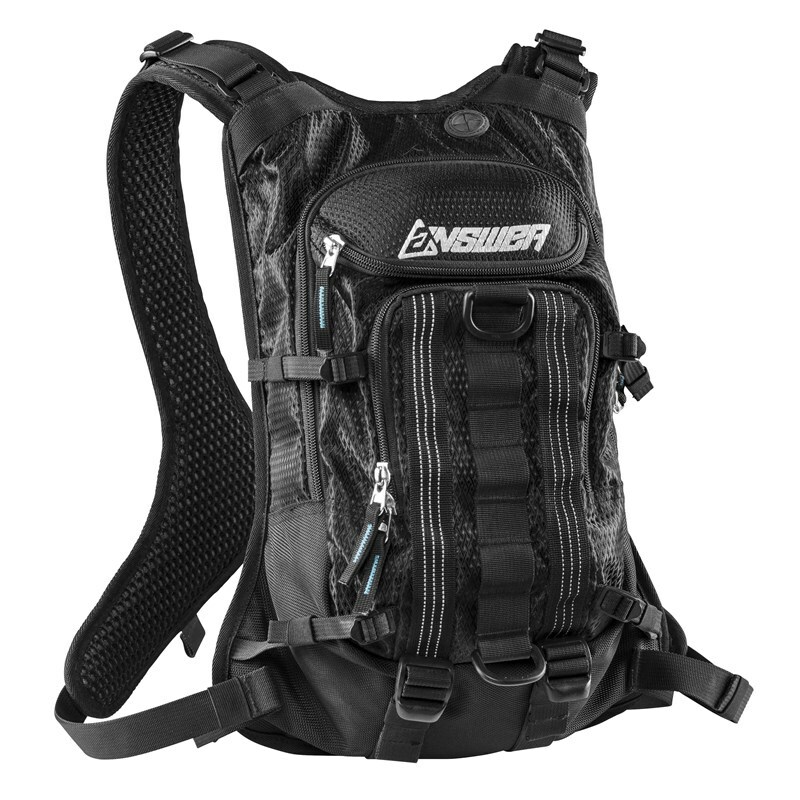 The frontier Backpack features an easy to clean, rip-resistant nylon chassis that is PVC coated for increased water-resistance.The Frontier Backpack is also highly adjustable and features easy to access shoulder and waist fitment straps, a circular 5 point non-binding harness system to increase fluidity between rider and garment and reflective printing for increased rider visibility in low light situations.